Reading requires strong skills in decoding, vocabulary, and comprehension. Learn about some AT tools that can support students in these three key areas. Reading is a complex academic task and requires many skills. Some of the key skills that a student must learn is the ability to decoding, have a large vocabulary, and metacognitive comprehension strategies. Deficits in any of these areas may affect a student’s ability to read proficiently, but each area can be supported by assistive technology (AT) tools. Decoding is the ability to sound out and recognize individual words and read them quickly and accurately. Decoding is the first step a student must complete when reading a word, sentence, or paragraph. Assistive technologies can assist students with translating written symbols into meaningful words, quickly and with accuracy. One of the most common type of technologies to assist students with decoding are Text-to-Speech technologies which take the text on the page and read it aloud to students. Some people use technology such as this in their everyday lives when they choose to listen to audiobooks over reading a traditional printed book. 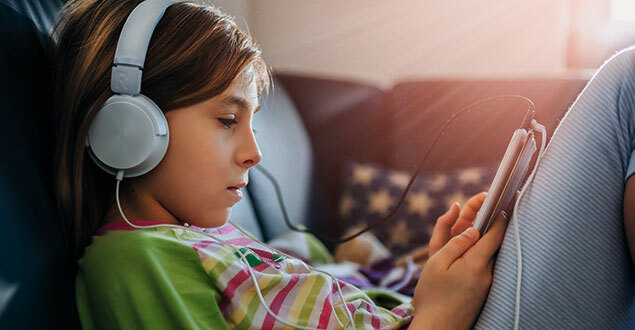 For students with reading challenges, Text-to-speech (TTS) technologies can be very effective in transforming printed text into an audio format for easy listening (for more information on TTS click here). This tech allows students to work around their decoding troubles and access the readings that they peers are being given, meaning that their reading difficulties will not stand in the way of their learning in other subjects/classes. When paired with TTS, scanning and optical character recognition technologies are very effective at overcoming the need to decode. After a document has been scanned into the computer or tablet, using optical character recognition software, a student can turn a photo image of a worksheet into an editable word document..
One's vocabulary is how well they can define the meaning of individual words. Once you have decoded a single word, it isn't much use to you unless you know what the word means. A limited vocabulary can limit how well a student will understand what they are reading. There are a variety of technologies to assist students with a limited vocabulary, including: scalable vocabulary tools (which increases or decreases word frequency, sentence complexity, and level of jargon within a text), visual dictionaries (which include images along with a written description of words), and e-dictionaries. E-dictionaries: A free online dictionary is provided by Google offers a free online dictionary. To look up a word, key in "Define: word you are looking for" in Google Search. To be a competent reader, a student must also have reading comprehension abilities. Comprehension skills are the skills that a student uses to understand the author’s message. To support a student with poor comprehension abilities you can use auto summary technology (which helps to identify main ideas or themes within a passage), or study tools (tools which assist students in becoming ‘active readers’). Students require adequate skills in all three of these areas; deficits in one or more of these skills will impair their ability to read and understand texts. While the above technologies will not improve a students ability to read on their own, they will assist struggling readers in accessing the meaning of texts and other classroom materials. Diiigo is a great online highlighter that highlights on web pages and then collects those highlights from different pages and place it in one place to review. Snap and Read Universal enables students to import any highlight text for a website, PDF, or Google doc, and place that text in an outline well referencing its original source.